The past two weeks have been very full, but I certainly can't complain. (Except maybe about Jay's car being in the shop for almost a week now. Can I complain about that? Thank heavens we're a two-car family right now and I don't work outside the home!) There have been unexpected bills, unexpected blessings, busy evenings, an abundance of baked goods, emotions gone wild (both Eisley's and my own—it's a good thing I married someone with a level head), ridiculously warm afternoons (it actually hit the low-90s again last week, for the love), and cool evenings that felt like pure bliss. We're looking into buying a new car early next year, which will be good, as we outgrew my tiny hatchback Yaris (which is the vehicular equivalent of a coconut jelly bean) soon after having Eisley. But I'm glad we made it work until paying it off this month. Jay can take my car for his long commute to work, and we can finally be free of his ancient (is '01 ancient in car years?) Honda. We'll be in the market for a small SUV, so if anyone has any advice, do share! In other news…I have no other news. I've been all discombobulated lately, and I know a lot of it has to do with needing to get back to my early morning routine. Commence old lady bedtime! Eisley had a blast on Halloween. I had many visions of a creative, handmade costume, but I definitely put it off for too long. 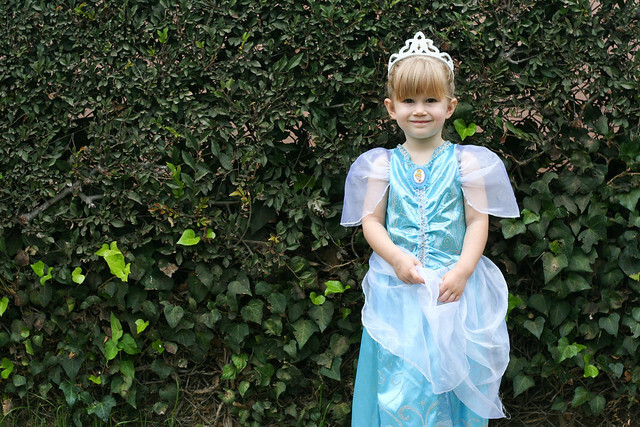 All the better for this little gal, because she got to borrow a sweet friend's Cinderella dress. (I'm pretty sure it's what she would have chosen, after all!) We went door-to-door throughout our neighborhood, as well as visiting my grandma and trick or treating down her street. I like the idea of keeping it sweet and simple in these early years. By the end of the night, Eisley was feeling very independent, telling us that she wanted to go up to each door by herself. (Where has my baby gone? Wahhhhh!) She was also incredibly thoughtful when my grandma ran out of candy while we were visiting, running to the door all ready to offer the tick-or-treaters some goodies from her own stash. What a gem. Sometimes she surprises me with her sweetness. We've been getting so much use out of our annual passes, and I'm grateful we've been able to splurge on something like this while Eisley is this age. (I just hope she knows how lucky she truly is!) 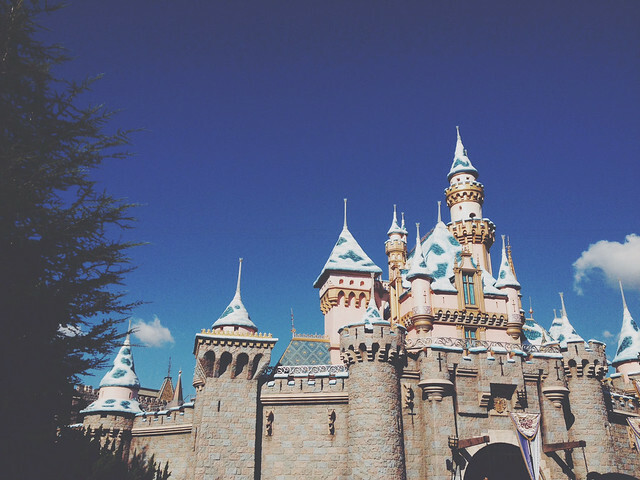 We ended up spending an entire day at Disneyland last weekend (from 9-6) and Eisley made it the whole day without any significant meltdowns—even without taking a nap! This is like a new season in parenthood, one when we can take a day trip here and there and not have to worry about working around a nap. Kind of awesome, if you ask me. Granted, I'm not ready to drop the nap quite yet altogether (and her naps are typically still around 2 hours each day) but it's nice to have the option to skip! — Early bedtime = early mornings! Thanks for taking the time to peek into my day-to-day! I hope you have a beautiful Monday. I recently bought a Buick Encore and I simply cannot say enough good things about it. It's a great size, has excellent fuel economy, and pretty cute :) My sister just had a baby girl so I get to set in for aunt-duty now and it's perfect for running around with her car seat, toys, pack and play, etc. Good luck with car shopping!! Usually I think Eisley looks so much like you, but in that picture with Jay she is his little girl twin! Good luck on this week's goals!! 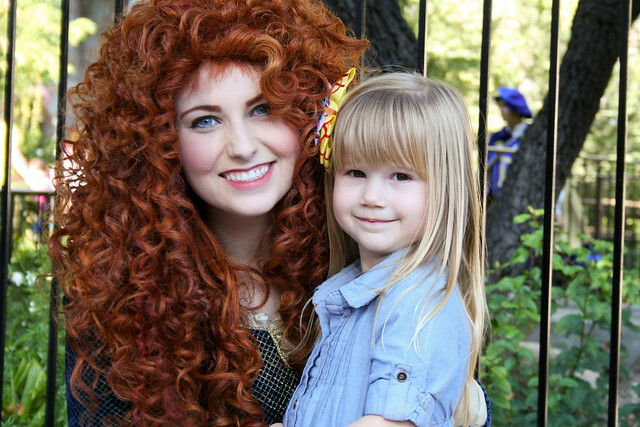 Love your pictures - Eisley is lucky to have such wonderful documentation of her life growing up <3 So happy your family has the opportunity to spend a full day at Disney together :) Wonderful! Best of luck on this week's goals!! 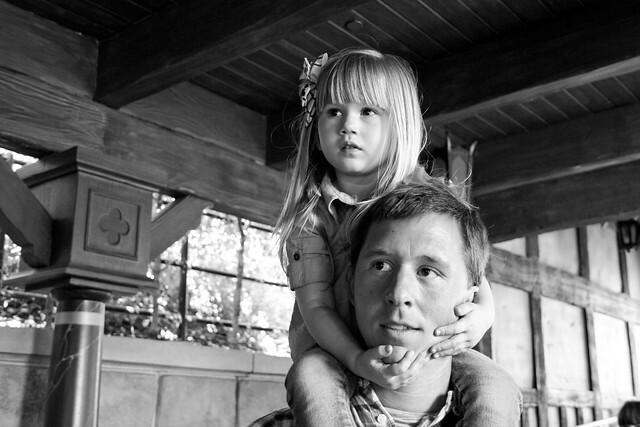 I just love that pic of Eisley and Jay, it's too cute! As for a smallish SUV, I love my RAV4 but that may be a little too big. I've also heard good things about Jeep's SUVs, basically cars are annoying but useful at the same time and I just wish we could teleport everywhere instead. Also, that 90 degree weather! I am with you, I about melted and complained the whole time. Like that would actually do anything, ha. I'm so glad Fall has finally arrived and is hopefully here to stay. Sounds like Eisley had a lot of fun at Halloween! And how sweet that she offered candy from her own stash... does your Grandma live close by? I didn't know that! That is fantastic! Eisley makes a perfect Cinderella. I grew up in Orlando for a few years and my parents got us season passes and my goodness, the fun we had! Some of my favorite memories and time with my parents were in those theme parks; I bet Eisley will cherish those days and the passes as she grows older! "The vehicular equivalent of a coconut jelly bean." This gave me a laugh! Eisley is so freakin' cute, & what a sweet little kid, too, to offer up her own candy. I think that speaks not only to her character but to Jay's & yours, for the way you're raising her.